I am working on a new map for HammerHelm and part of the process is creating some composition shots. These are meant to give me a visual goal for the map. So what you are seeing is just a scene, a representation of what I’d like the map to look like. In the case of this shot, it’s a coastline. 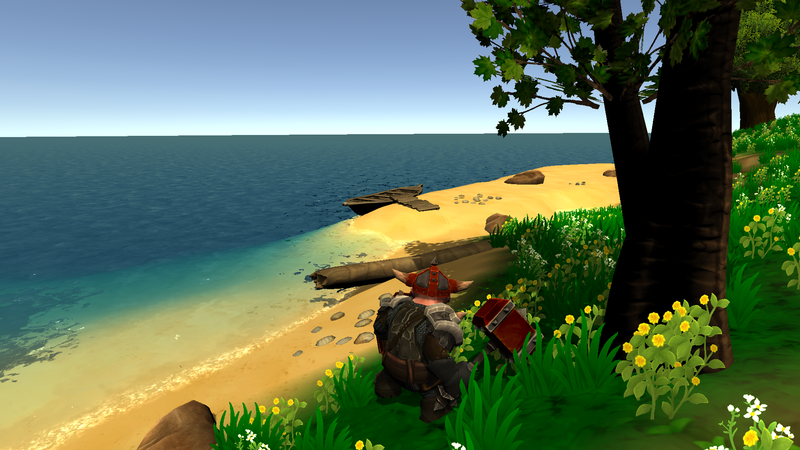 Right now in HammerHelm the coast is too steep to really do anything with and the water is pretty basic. The goal here is to have a coastline that looks prettier but could also have a use (such as placing a fishing structure) as your town could be closer to the coast.